The selection of herbicides is not always based on the weed that it should control. There are many conditions in the environment that will influence the grower or user’s decision to use a specific herbicide. 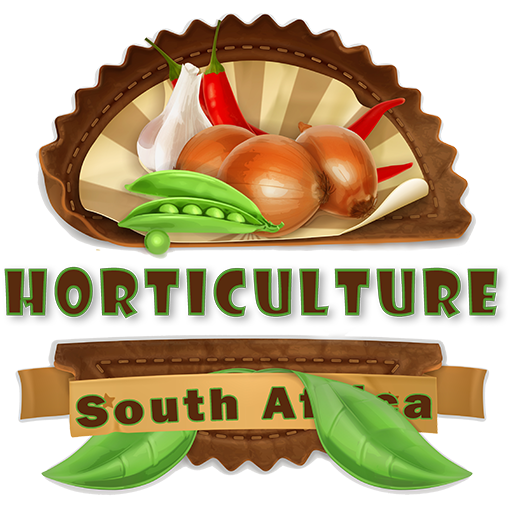 For instance, the length that the herbicide will be active in the soil will be of major importance with vegetable crops which are planted in quick succession in the same piece of land. Wide spectrum: Controls a wide spectrum of weed species. If not careful it will damage both weed and commercial crop. In order to widen the selectivity of herbicides, many growers combine one or two products. However it is not advisable to mix any two given chemicals due to the chemical action that might take place. Consult a specialist if “cocktails” are required. The toxicity towards animals is designated by the sign LD50. Most herbicides have a relative high LD50 value. The LD50 value provides the user and indication of the toxicity towards any animal, even humans. If a chemical has a LD50 value of1,000 it means that if the animal weighs 100kg, it will have a 50% chance of living (or dying) if it absorbs 100g of the chemical. The accuracy with which herbicides must be measured and the phytotoxic effect which will result from any deviation from the recommended amount, differs. Phytotoxic damage is more likely to happen with herbicides that have to mixed in small dosages such as 1 ml/100 L – 10 ml/100 L of water than with those with higher volumes such as 100 ml/100 L – 1000 mL/100 L of water. The percentage mistake can be seen in Table 4. This can have a significant effect on the final result as well as the cost of controlling the weed chemically. The phytotoxic sensitivity of herbicides is shown in Figure 8. 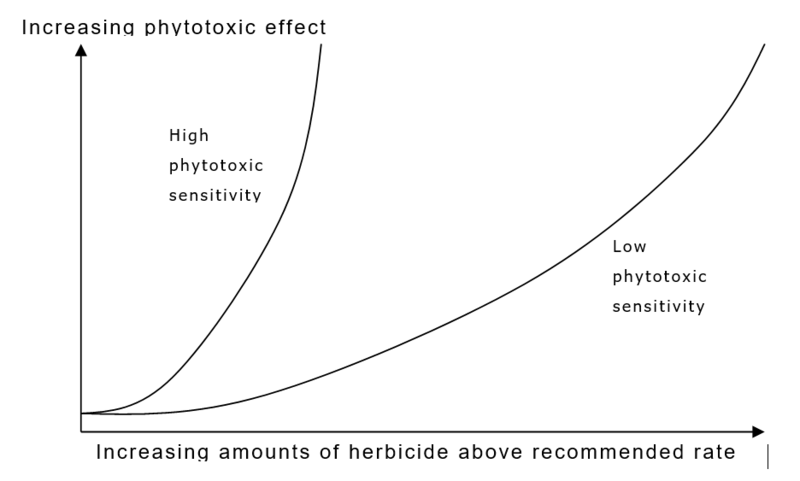 Graphical example of the sensitivity of two herbicides when increasing the volume mixed above the recommended rate. 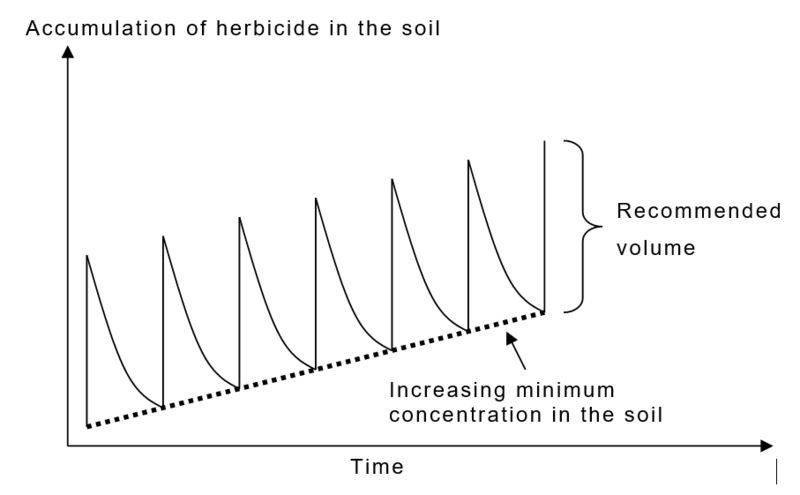 The length of time that herbicides stay active in the soil varies considerable. Some herbicides break down immediately such as paraquat (Gramoxone) if they come in contact with soils, whereas others such as ethoxysulfuron has a waiting period for most crops between 12 months and 24 months. This limits the scope of follow-up crops a grower may plant without the herbicide having a negative affect on it. The residual effect of herbicide application must also be taken into consideration especially when the same herbicide is applied year after year (Figure below). Classifying herbicides according to chemical structure is of academic importance and the average grower will not use this type of classification. The chemical component that is used to classify the herbicides are usually aromatic rings and other types of chemical formulations. Liquids: as suspension when solids are mixed in liquids or emulsions when liquids are mixed in liquids. Gasses: Examples are Carbon bisulphide and Methyl Bromide. Methyl Bromide contains a type of teargas in order to warn users of its presence. Solid phase: These herbicides are powders, granules and pellets. Systemic: These herbicides are trans located through the plant by the various pathways. Contact: These herbicides destroys the area of the plant on which it made contact. Most herbicides have properties which fall either more to one side or the other or 50:50 properties. It is seldom that a herbicide would have 60:40 relation between systemic and contact properties. 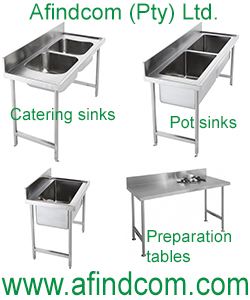 The most common is 100:0, 80:20, 50:50, 20:80 and 0:100 ration between systemic and contact properties.